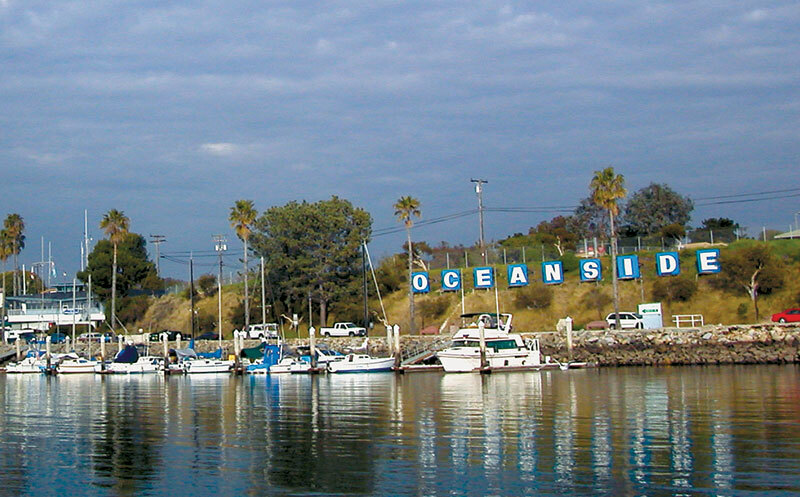 OCEANSIDE — As Oceanside Harbor marina slip tenants are still adjusting to the near-30-percent increase in slip fees approved last May, the city has moved to lower the fees for winter boating visitors at the guest docks and for the harbor’s commercial fishing vessels. The two rate decreases were approved by Oceanside City Council members at their March 14 meeting, and were recommended to the council by Oceanside Harbor Advisory Committee members Les George and James Gardner. George, who represents the boat slip tenants on the committee, suggested creating a winter rate at the harbor’s guest dock with 27 spaces and 500 feet of side-tie area to be reduced from $1.20 per foot to 80 cents per foot from Oct. 1 to March 31. Harbor and Beaches director Frank Quan, who presented the recommendation to city council members, said that the reduced rates would mean less revenue for the city, but could lure more visitors to the area during the off-season months. Quan added that he is hopeful the reduced rate will lure more cruisers to the harbor who usually pass by on their way to San Diego, and that yacht clubs and racing sailors participating in boating events such as the Baja Ha Ha rally in Mexico will plan stopovers in Oceanside. For Oceanside’s commercial fishing fleet, a year-round reduction in slip fees was approved, lowering the rates for 17 fishing vessels in the harbor from $10.60 per foot, per month to $8 per foot, per month — and removing the scheduled $1 increase that was set for July 1. The estimated loss in revenue from the fishing fleet slip rate decrease is $25,000, but Quan told the city council that losing more vessels to nearby Dana Point and San Diego would mean larger revenue losses in the future. The fee decrease for the fishing fleet still left Oceanside Harbor still leaves moorage costs substantially higher than similar docks at San Diego’s Tuna Harbor and Driscoll’s Wharf ($3.15 per foot) and Dana Point Harbor ($5.40 per foot). Quan said there are currently 17 fishing boats in Oceanside Harbor, and there is space for a total of 20 vessels. At one time there was a waiting list for new commercial fishing vessels that wanted to enter the harbor, but the combination of the economic downturn, stricter fishing regulations and last year’s rate increase has thinned out the crowd. “It’s hard times right now,” Quan said. James Gardner, the commercial fishing fleet’s representative on the Harbor Advisory Committee, brought the rate discrepancy to Quan’s attention earlier this year. According to a 2009 San Diego Unified Port District report, Oceanside’s commercial fishing fleet accounted for 22 percent — or $1.6 million — of San Diego’s commercial fishing activities. In his report to city council, Quan wrote about the importance of keeping the fishing fleet in the harbor, due to the increased demand from consumers for sustainable seafood and easy access to locally caught fish. In addition, Quan told city council members that keeping a commercial fishing fleet in Oceanside Harbor would mean better opportunity for future maintenance dredging projects undertaken by the Army Corps of Engineers, which takes into account various elements in authorizing dredging — including the accessibility to a harbor for commercial fishing activity.